Notley is the Alberta NDP’s strongest asset. Don’t expect to see ‘Team Kenney’ logos on UCP lawn signs. As has been widely reported this week, the Alberta New Democratic Party has purposely shifted the focus of their political material onto their greatest asset, Premier Rachel Notley. The NDP began replacing the NDP logo with a Rachel Notley logo on their social media images back in April 2018, but the party recently highlighted this focus with the launch of their new RachelNotley.ca campaign website. The move has been attacked by critics of the NDP, who claim the party is nefariously attempting to distance itself from its unpopular federal cousins. The NDP are probably trying to distance itself from the Jagmeet Singh-led federal NDP, but there is nothing nefarious about it. Campaigns always try to play to their strengths and downplay their weaknesses. This is why the NDP campaign will put Rachel Notley front-and-centre and the UCP will not be featuring Jason Kenney logos on their election lawn signs. Putting the focus on party leaders is nothing new in Alberta politics. 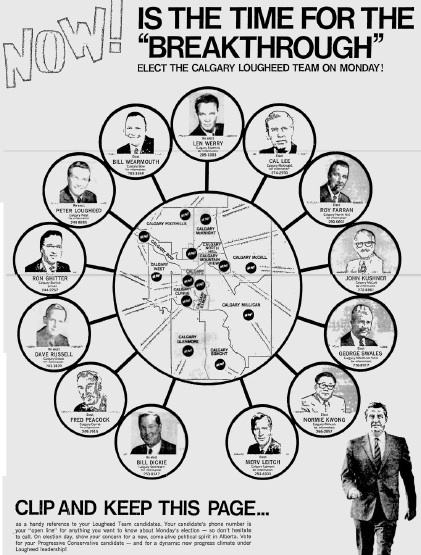 A PC Party advertisement from the 1971 Alberta election. In 1971, much of the Progressive Conservative Party’s advertising and messaging revolved around Peter Lougheed. The “Lougheed Team” focused on the party’s young and dynamic leader and the impressive slate of candidates that surrounded him. 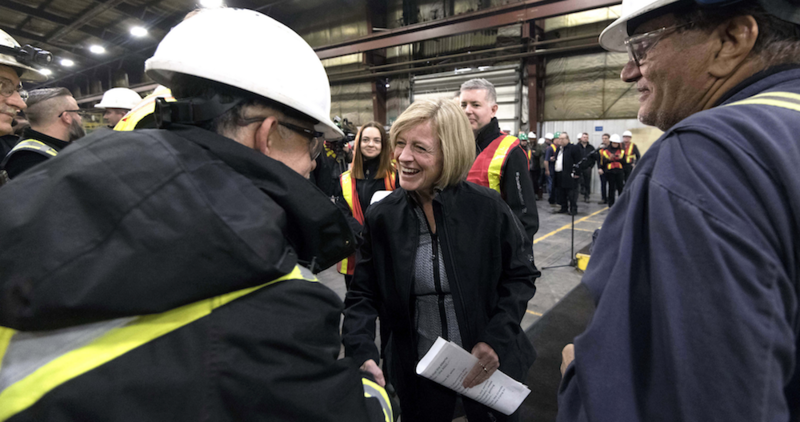 While Alberta politics have certainly changed since the 1970s, Notley frequently evokes the memory of popular Lougheed in her media statements and campaign speeches. ‘Ralph’s Team’ was a slogan the PC Party used in the 1990s, putting the focus on their popular party leader, Ralph Klein. And the federal Liberal Party attempted a similar move when they placed ‘Team Martin’ logos on their campaign signs and material during the 2004 election. As Postmedia columnist Keith Gerein wrote last week, the two main party leaders have divergent popularity among their parties own supporters. While her party is behind in the polls, Notley remains wildly popular among NDP voters. United Conservative Party has a massive lead in the polls, but party leader Jason Kenney is much less popular than the party he now leads, which which is why Albertans will probably not spot any “Team Kenney” logos when the election is called this spring. Almost all NDP MLA’s should know they have Notley’s leadership to thank for their electoral fortunes in the 2015 election, the same might not be said of UCP candidates and their leader in 2019. If the UCP’s strong support holds, many of that party’s candidate could be elected despite their leader’s lower approval ratings. Any leader who’s popularity falls below that of the party they lead inevitably becomes vulnerable to leadership challenges and caucus revolts, as Don Getty, Ed Stelmach, Alison Redford, and in the dying days of his premiership, Ralph Klein, discovered. Conservatives in Alberta have been ruthless with their party leadership and rarely tolerate weaknesses that could jeopardize electoral success. It is yet to be seen whether Kenney will fall into this category, which will probably depend on what the UCP caucus looks like after Election Day. If the UCP caucus is large, Kenney’s leadership could be secure. But as Stelmach and Klein discovered, large caucuses are impressive but can be unruly and difficult to manage. If he does fall into the traps sprung by previous Conservative premiers, look to UCP MLAs Jason Nixon, Nathan Cooper, Leela Aheer and former Wildrose leader Brian Jean to be eyeing the Premier’s chair. Rachel Notley on the other hand might not be as vulnerable, even if the NDP is defeated in 2019. 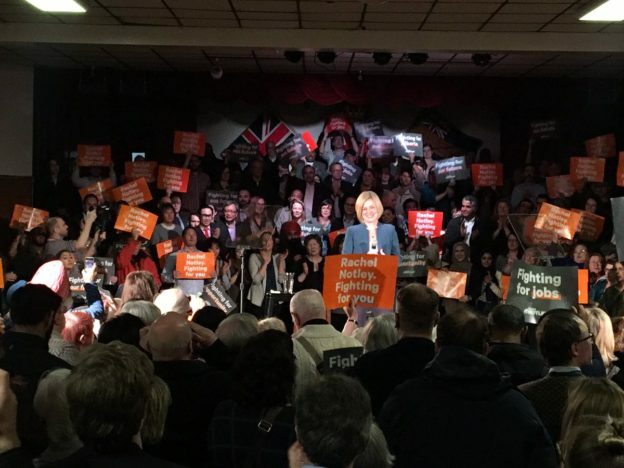 If her party does better than expected in 2019, even electing 25 or 30 MLAs, the NDP caucus and members may come to the conclusion that Notley remains their strongest asset and could be their best bet at returning to government in 2023. They could encourage her to remain party leader. As an opposition leader, Notley would be fierce and lead an actual government-in-waiting, not something Albertans are used to having. It would also signal whether the NDP will remain in its centre-leftish position or embrace a more aggressive progressive agenda advocated by some members. While Notley remaining in the party leadership beyond a 2019 loss may go against some of the common popular opinion about former premiers, past NDP premiers Allan Blakeney of Saskatchewan and Dave Barrett in British Columbia both led their parties into elections following defeats. Barrett even went on to have a career in federal politics and nearly became leader of the federal NDP in 1989. I am probably getting ahead of myself, as this year’s election has not even been officially called, but scenarios like these are certainly something that many political watchers are thinking about. This entry was posted in Alberta Politics and tagged Alberta Election 2019, Alberta NDP, Alberta PC Party, Alison Redford, Allan Blakeney, Brian Jean, Dave Barrett, Don Getty, Ed Stelmach, Jagmeet Singh, Jason Kenney, Jason Nixon, Keith Gerein, Leela Aheer, Nathan Cooper, Paul Martin, Peter Lougheed, Rachel Notley, Ralph Klein, United Conservative Party on January 31, 2019 by Dave Cournoyer. Photo: MP Linda Duncan and MLA Rachel Notley at Edmonton’s Pride Parade. 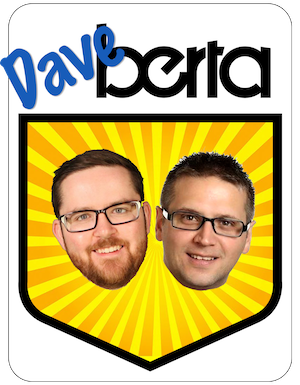 It was one of the worst kept secrets in Edmonton politics. Linda Duncan has announced that she will not seek re-election as the Member of Parliament for Edmonton-Strathcona when the next federal election is held in October 2019. After a strong second place finish during her first run for elected office in 2006, Duncan unseated four-term Conservative MP Rahim Jaffer in the 2008 election. The race was so close, and the Conservative campaign was so confident that Jaffer delivered his election night victory speech before all the votes had been counted. Unfortunately for Jaffer, the final polls in the NDP-vote rich areas surrounding the University of Alberta were late to report and helped give Duncan a 463 margin victory that night. That night she became the second ever NDP MP from Alberta, following in the footsteps of Ross Harvey, who served as the MP for Edmonton-East from 1988 to 1993. 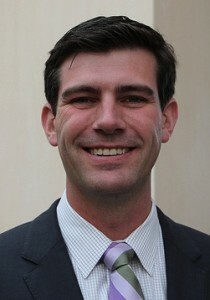 Duncan’s rise into Alberta politics coincided with a resurgence for the NDP, first federally under Jack Layton’s leadership and later provincially under the leadership of now-Premier Rachel Notley. Despite spirited campaigns in Edmonton-Centre, Edmonton-Griesbach , and Edmonton-Manning in 2015, the federal NDP have been unable to extend their foothold in Alberta beyond Duncan’s district, leaving Edmonton-Strathcona as an anomaly in Canadian politics. And despite its NDP-roots and the presence of Notley as the MLA for the provincial district of the same name, it is not a sure thing that Duncan’s successor in 2019 will be a New Democrat. The current political climate has created a challenging situation for anyone with ambitions to run under the federal NDP banner in Alberta. New federal NDP leader Jagmeet Singh’s decision to oppose the expansion of the Trans-Mountain Pipeline and his public split with Notley will not endear him to many voters in this district. Until recently, Duncan had avoided getting involved in the debate over the construction of the Trans-Mountain Pipeline from Edmonton to Burnaby, but her successor will have a tougher time avoiding the subject. She only recently commented on the pipeline issue, saying that she it was ‘not the priority issue’ for voters in her district. As a life-long environmentalist and former environmental lawyer, her position came as no surprise. 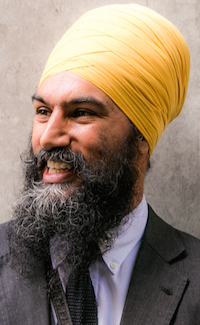 Singh’s posturing and the dominance of the pipeline issue in the media and minds of many Albertans will certainly make it difficult, but not impossible, for the NDP to hold on to this seat in the next election. Duncan is the seventh NDP MP to announced they will not run for re-election in 2019, including former leader Tom Mulcair in Outremont, David Christopherson in Hamilton Centre and Irene Mathyssen in London-Fanshawe. Duncan is the second Alberta MP to announced plans to retire in 2019. Yellowhead Conservative MP Jim Eglinski is not seeking re-election in 2019. This entry was posted in Alberta Politics and tagged David Christopherson, Edmonton-East, Edmonton-Strathcona, Hamilton Centre, Irene Mathyssen, Jack Layton, Jagmeet Singh, Jim Eglinski, Kinder Morgan Trans-Mountain Pipeline, Linda Duncan, London-Fanshawe, New Democratic Party of Canada, Oil Pipelines, Outremont, Rachel Notley, Rahim Jaffer, Ross Harvey, Tom Mulcair, Yellowhead on August 29, 2018 by Dave Cournoyer. BC refuses to open the Quails’ Gate for Kinder Morgan Trans Mountain Pipeline. Is Alberta up the CedarCreek without a paddle? It has been one week since the Alberta Government began its great BC wine boycott and supplies of Okanagan wine are closer to running dry in Alberta’s privately owned liquor stores. While Premier Rachel Notley has succeeded in draping herself Alberta’s blue and gold flag, the Kinder Morgan corporation’s Trans Mountain Pipeline from Edmonton to Burnaby looks to be no closer to expansion than it was before we began to deprive ourselves of BC wine. Wine was an easy industry for the Alberta government to boycott, as there is no shortage of wines from other destinations on liquor store shelves, and Notley had to be seen to take some sort of action in retaliation. But with our integrated and interdependent economies there might not be much more the Alberta Government could boycott to convince the BC government of Premier John Horgan to stop their environmental study and stalling of transport of dilluted bitumen through BC. Both politicians are in need of a big political wins and both sides of this debate have continued to dig in their heels. 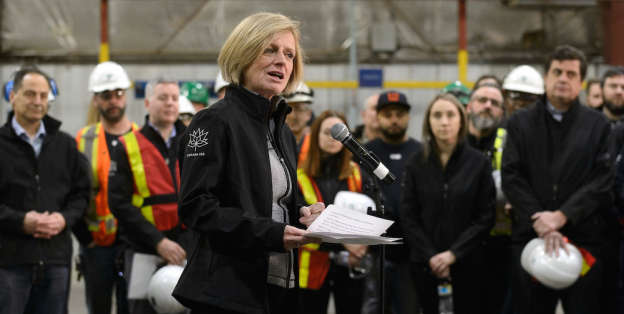 Notley announced the appointment of a high-profile task force of former politicians (including former New Brunswick premier Frank McKenna and former deputy prime minister Anne McLellan), government bureaucrats and economists to help determine Alberta’s next actions. She also reiterated this week that the federal government should help resolve the situation. Alberta’s Premier has found herself allied with Chambers of Commerce, federal Conservative MPs and United Conservative Party leader Jason Kenney in demanding that Prime Minister Justin Trudeau take decisive action to force the BC government to not stall the expansion of the oil pipeline, but it remains unclear what “decisive action” actually means. Kenney called for an emergency session of the Legislature, which under the current circumstances would be not much more than four pro-pipeline parties professing their undying devotion and love for the oil pipeline to Burnaby (just in time for Valentine’s Day). Mixed with a large serving of BC-bashing, it would be unlikely to help warm relations with our neighbours to the west. 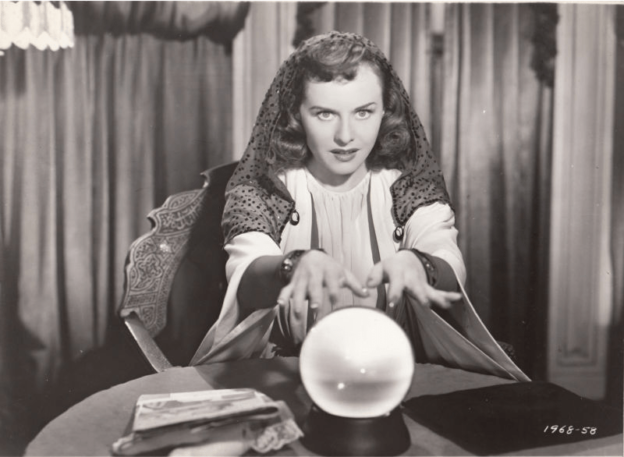 While the sabre rattling and economic boycotts are very visible actions, behind the scenes discussions between cooler heads will likely be what leads to a politically palitable resolution, if that is even possible at this point. Notley will not be attending this weekend’s federal NDP convention in Ottawa, which will likely save federal leader Jagmeet Singh from being forced to join the dispute between the only two NDP governments in Canada. It has not been announced whether Horgan will be attending either. With the Alberta flag firmly draped over her shoulders and not a bottle of BC wine to be found, Notley should take the political fight out of Edmonton’s government district. Notley should take her pipeline sales pitch on the road and tour Alberta. She should speak out against the climate change denial rampant in opposition circles and talk about the benefits of the carbon tax, the transition to renewable energy and her government’s investments in public services and infrastructure. She can help empower Albertans with the tools they need to be active citizens and engage British Columbians and other Canadians in the pipeline debate. 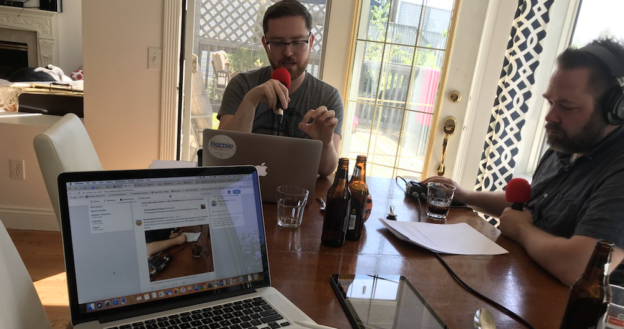 Holding town hall meetings, talking one-on-one with Albertans in coffee shops, spending more time on radio call-in shows – and maybe while Notley is doing this, her actions might remind Albertans what inspired them to vote for her party in 2015. This entry was posted in Alberta Politics and tagged Alberta NDP, Alberta Pipeline Task Force, Anne McLellan, BC NDP, Diluted Bitumen, Frank McKenna, Jagmeet Singh, Jason Kenney, John Horgan, Justin Trudeau, Kinder Morgan Trans-Mountain Pipeline, Rachel Notley, United Conservative Party on February 12, 2018 by Dave Cournoyer. 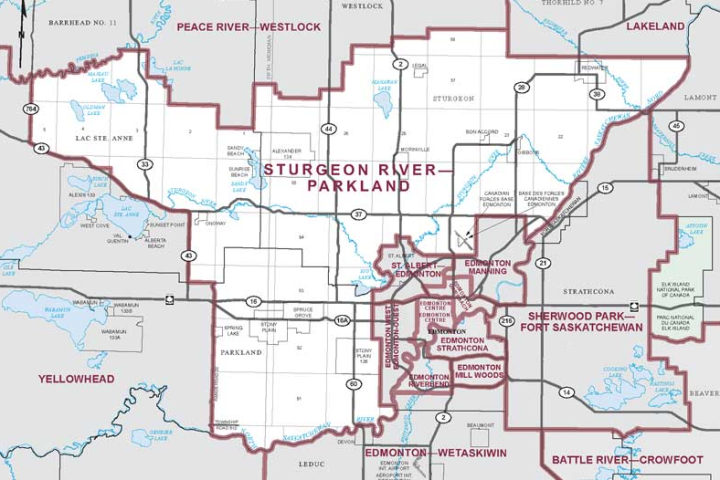 Overshadowed by this past Monday’s municipal elections, the federal by-election in Sturgeon River-Parkland scheduled for October 23, 2017 could be described as the forgotten by-election. I drove through Sturgeon County and the town of Morinville this week and spotted only a few Conservative, Liberal and Christian Heritage party signs scattered on the sides of the highways alongside the soon-to-be collected municipal election signs. It was easy to forget that the by-election was evening happening. Along with the municipal election, the lack of general interest in the by-election could also be a result of its widely predicted outcome – a landslide victory by Conservative Dane Lloyd. The district re-elected Conservative MP Rona Ambrose with 70 percent of the vote in 2015. And even though Ambrose’s handpicked successor, Jamie Mozeson, was surprisingly defeated in the party’s nomination race, the outcome will likely be similar, albeit with a much lower voter turnout. This is a reliably Conservative voting area of Alberta and any candidate running under that party’s banner can expect to be easily elected. 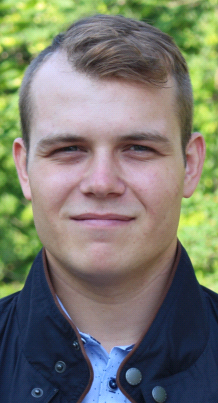 Lloyd, a 26-year old political staffer for St. Albert-Edmonton Conservative MP Michael Cooper, earned media attention during the nomination race after calling for a “no body, no parole” law. He has also expressed some very conservative political views online about feminism and firearms. Conservative leader Andrew Scheer made a campaign stop in the district on October 10, 2017. His party’s prospects aside, Prime Minister Justin Trudeau paid a visit to the district on October 20, 2017 to campaign alongside Liberal Party candidate Brian Gold. Trudeau deserves credit for the visit. The Liberal leader appears to have personally campaigned alongside his party’s candidates in every by-election since becoming leader, including in past by-elections in Calgary, Foothills, Fort McMurray, and Yellowhead. 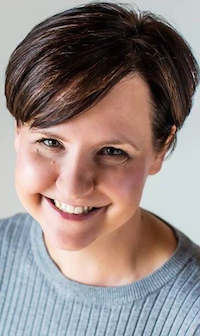 While New Democratic Party candidate Shawna Gawreluck has not had a visit from her party’s new leader, Jagmeet Singh, she has had the support of Edmonton-Strathcona MP Linda Duncan and Spruce Grove-St. Albert MLA Trevor Horne. Christian Heritage Party candidate Ernest Chauvet also had a visit from his party’s leader, Rod Taylor. Voting stations will be open from 7:30 a.m. to 7:30 p.m on Monday, October, 23, 2017. You can use the Elections Alberta online tool to locate your polling station. This entry was posted in Alberta Politics and tagged Andrew Scheer, Brian Gold, Christian Heritage Party, Conservative Party of Canada, Dane Lloyd, Ernest Chauvet, Jagmeet Singh, Jamie Mozeson, Justin Trudeau, Liberal Party of Canada, Linda Duncan, Michael Cooper, New Democratic Party of Canada, Rod Taylor, Rona Ambrose, Shawna Gawreluck, Sturgeon River-Parkland, Sturgeon River-Parkland by-election, Trevor Horne on October 21, 2017 by Dave Cournoyer.